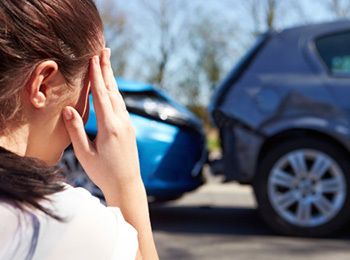 Under California law, an injured party is entitled to compensation for his/her injuries from the party the caused a motor vehicle accident which resulted in injury to oneself, a family member or their vehicle. Generally an operator of a motor vehicle must use reasonable care during the operation of that motor vehicle. While the aforementioned is the general rule, special standards of conduct may apply to various circumstances. The California Vehicle Code sets out specific “rules of the road” governing traffic laws which apply to vehicle drivers and often bicycle riders as well. Violation of these rules of the road create a presumption that the party violated those rules is responsible for the accident. Although the traffic laws are explicitly set out in the vehicle code, responsibility for an accident is determined on a case by case basis, applying those laws to the incident after making a specific factual determination of all facts and circumstances of the accident. Our office will pursue a thorough investigation into the accident, interviewing witnesses, inspecting the scene of the accident, inspecting the nature and extent of the vehicle damage and reviewing all other factors which may have contributed to the accident. Specific and exclusive laws and regulations may apply to particular parties, such as big rig drivers, bicyclists and pedestrians. For a detailed discussion please review the appropriate heading from Home Page. California law mandates that all drivers of motor vehicle on public roadways carry motor vehicle liability insurance of a minimum of $15,000 per person and $30,000 per accident, regardless of the number of injured parties. The majority of liability policies afford only this minimum required coverage, however an increasingly larger number of California drivers fail to carry any liability insurance at all. If that party is a permissive user of another’s vehicle, the owner’s vehicle will often insure the driver as well. If neither the owner nor driver has insurance, the loss is determined to be an uninsured motorist claim. While the owner and driver a re still legally responsible for the loss, practical considerations of recovering compensations often mandate that and an uninsured motorist claim be filed, if available. Uninsured Motorist coverage or “UM” coverage applies if the the victim carries the coverage (UM coverage is not mandatory in California), and it is established that either the insured was a victim of a hit-and-run where the perpetrator was not identified or where it is established that the the at-fault drive failed to carry liability insurance for that vehicle. Uninsured motorist claims are governed by separate and distinct laws, differing from claims against another drivers insurance in several significant ways. These consumer protection provisions specifically require one’s own insurance carrier to use “good faith and fair dealing” during the investigation and resolution of the claim. Other significant differences exist with respect to one’s duty to cooperate with the carrier, statue of limitations periods, notification requirements, health insurance reimbursement, workers compensation and medical payments applications to recovery. California law limits the nature of compensation that an injured party may recover if they did not possess insurance at the time of a motor vehicle accident. That compensation, referred to as “damages” is limited to special damages, ie; reasonable and necessary medical bills, wage loss, property damage and incidental expenses. With the exception of a narrow set of circumstances, such as the at-fault driver being convicted of driving under the influence, and injured victim may not recover general damages, commonly know as “pain and suffering” damages. If you have incurred medical bills and other special damages, please contact my office for a free consultation regarding your rights and liabilities. Please contact our office for a free comprehensive, confidential evaluation of your rights and obligations under the uninsured motorist laws at one of our offices in Roseville, Sacramento or Natomis. Home and hospital appointments are also available.